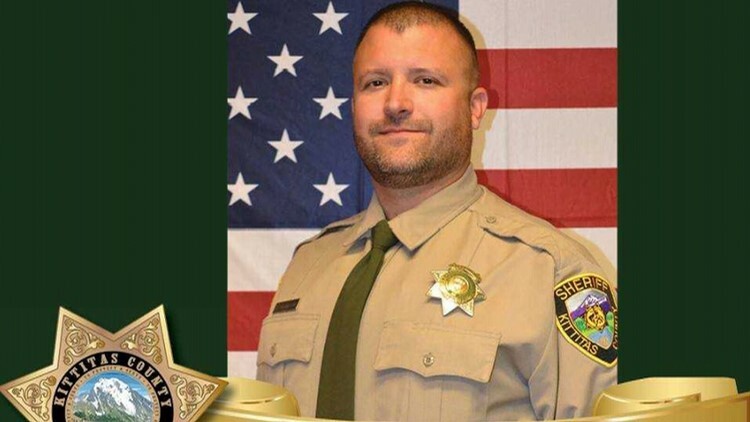 The Kittitas County sheriff’s deputy killed in the line of duty was identified as Ryan Thompson, a 14-year law enforcement veteran. KITTITAS COUNTY, Wash. — The Kittitas County sheriff’s deputy killed in the line of duty Tuesday night was identified as Ryan Thompson, 42. He served in law enforcement for 14 years. “Our community has a very heavy heart today, and last night we lost one of our finest,” said Kittitas County Sheriff Gene Dana. 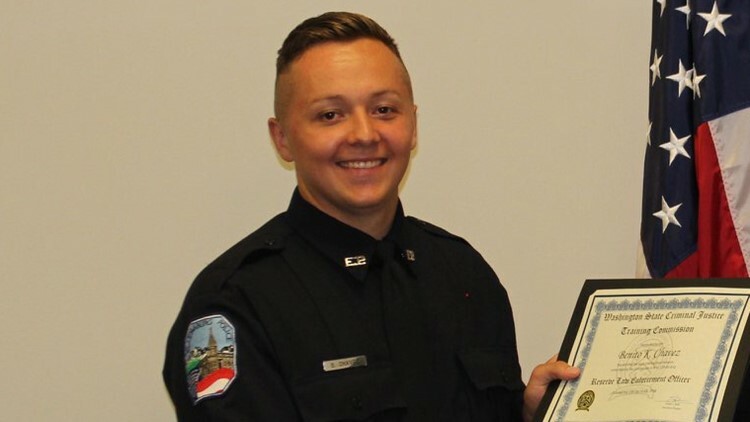 Thompson was killed while exchanging gunfire with a suspect who fled from a traffic stop. The suspect, identified as Juan Manuel Flores Del Toro, was also killed. A Walla Walla native, Thompson graduated from Central Washington University. Thompson started his career as a reserve deputy in 2004, according to Dana. He also worked as a corrections officer and a Central Washington University police officer. He returned to the sheriff’s office full-time in December 2013. Thompson leaves behind a wife and three children. The county has established memorial funds to support his family. Fellow officers held a short procession and saluted Thompson Wednesday morning as his body was escorted from Kittitas Valley Hospital. On Wednesday afternoon, a procession escorted the slain deputy to Ellensburg. This is the first time a Kittitas County deputy has been killed in the line of duty in over 60 years, according to Sheriff Dana. It's been 92 years since the county experienced a fatal officer-involved shooting. Kittitas Police Officer Benito Chavez, 22, was injured in the shooting and is in satisfactory condition at Harborview Medical Center in Seattle. Chavez is in surgery after a bullet shattered his femur, according to Kittitas Police Chief Chris Taylor. Kittitas Police Officer Benito Chavez was shot in the leg during a police pursuit Tuesday night. Chavez was sworn in last July and graduated from the Basic Law Enforcement Academy in January. “He’s a respected officer,” said Taylor. The Kittitas Police Department is a small agency with just three officers: Taylor, Chavez, and a soon-to-be third officer. Taylor said the department often relies on the sheriff's office, Ellensburg Police, and Washington State Patrol to assist with day-to-day operations. Memorial funds have been established to help the families of Deputy Thompson and Officer Chavez. Donations may be made in person or a check may be mailed to any US Bank branch. To ensure funds are deposited into the correct account, provide the name of the fund or indicate it on the memo line of the mailed check. Family funds are for family expenses while the memorial fund is for funeral expenses. Any excess funds after the funeral service will be released to Deputy Thompson’s wife.